Hello to all of our friends and supporters! 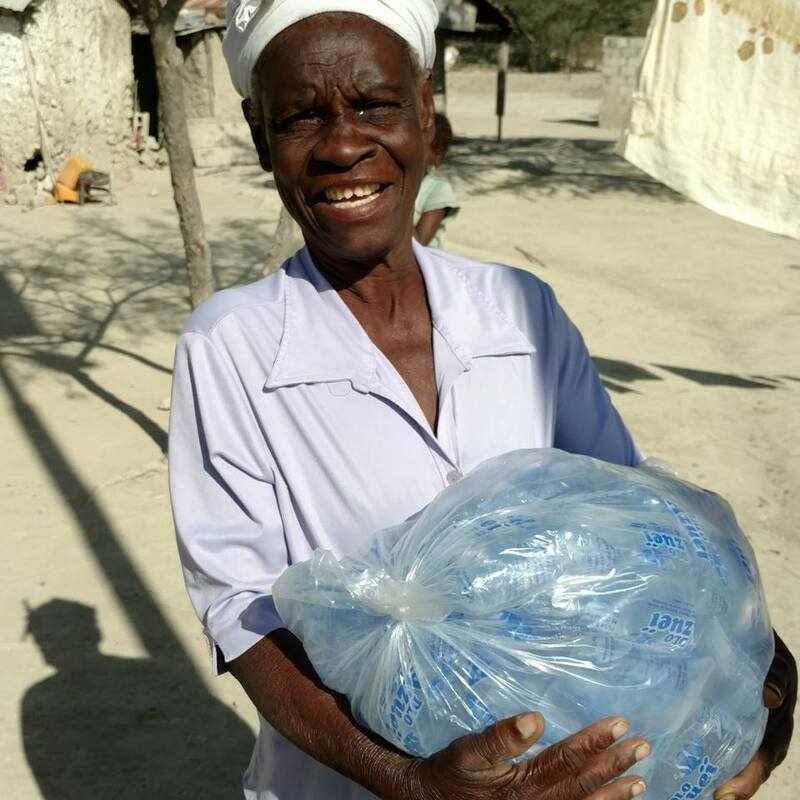 Join us as we bring joy to our loved ones in Haiti this Christmas. We are launching our Ho Ho Hope for Haiti 2018. This year its quite simple, we need a few “Holiday Helper’s” to be a part of our Angel Tree and Stuff the Stocking Campaigns. The basics are we ask you to find friends, family, school mates, and co workers to “pick and Angel or Stocking”. On the Angels and Stockings information is provided for the children ages, gender and age appropriate gift ideas. In addition to the donors information so we can send out thank you cards after the campaign. We will collect the gifts by December 15th. To have for distribution during Holiday visit to Haiti. Stay tuned for more details and updates. Please email for specific instructions and supplies. Happy Holidays looking forward to bringing Christmas Joy to those we love and care for in Haiti. Thanks in advance for being a part of our Ho Ho Hope For Haiti Celebration! I always knew I wanted more in life, and I found so much MORE in Haiti. I traveled with Project Grace to teach yoga to the beautiful children from Project House of Hope. We did yoga, made bracelets, taught each other phrases in Creole/English, painted, hugged, laughed and loved. It’s such an overwhelming feeling to be so fulfilled, it’s like my heart is literally bursting at the seams. And it was more than just the children who are wonderful, it’s also the local staff at PHoH. They were fantastic! I felt so protected and cared for, and I am ever grateful for their kindness to me and each other. Haiti has endeared itself to me on so many levels and in so many ways. The heat, the sweat, the love and belly-aching laughter, the cold showers and coconuts macheted open by hand. It’s an experience you think you could understand before-hand, but it’s so much more. I’ve never felt so much love and life in one place, from one people. There is a beauty in Haiti I never knew existed. The mountains and Sea are a sight to behold, but the real beauty lies within its people. Their resiliency is astounding, and it creates a space for them in your heart before you even know what is happening. The sense of community is awe-inspiring, many of these people have nothing to give yet they share everything. They have suffered so much, but they wake up everyday and continue to live and love one another. It’s amazing to me to think how I experienced so much joy amongst so much sadness. My hardest moment came when we took supplies up the mountain to a small community cut off from a water supply. There had been rain and the road was too muddy for us to make it all the up. So instead the people came down to us, and the children especially were so excited. A young girl wearing a little bucket hat stayed at my side. She was holding my hand, and I noticed a rash across her face. Her mother came over and pointed to her child’s legs, showing me that the rash had spread over her body. Then she took off the little bucket hat and my heart broke. Her entire head was covered in scabs, and this brave little girl smiled all the while, just happy to hold my hand. In that moment I knew there was no going back for me, I had to do more to help. Hello, and happy summer to you all. The children at House of Hope are enjoying their break, and we hope you are making the most of yours. The weeks have been filled with VBS, Music, Dance, Sports and so much more. PHoH will host our friends at Project Grace next week. This is an amazing group of folks who come and offer their gifts of ballet, tap, and yoga to the children in our care and the entire community. Our dear friend Kathy will host an empowerment class for the ladies, and our friend Kristen who has tirelessly alongside with her kids collected backpacks for the children at LeRefuge School. What a week we are going to have. To top it off our Heroes of Hope Soccer team will have a game to showcase their skills. Does this sound like fun to you? The opportunity for you to join us is here. We have selected two weeks in early 2019 for you to come with us and visit the beautiful country of Haiti. Taking in the beaches, mountains, and countryside, all while sharing your gifts. We pride ourselves on immersing you in culture, food, faith and our family. Hosting you in a safe and beautiful home. Join us January 4th-January 9th, trip one in 2019. February 20th-February 26th trip number two. These two trips are "open" at this time. (we typically keep our groups around 10-15) In addition we can host you, your family, church family or your company on a "Vision" trip. Sharing with you the work we are doing in country, and how you may want to get involved with our programs. Please contact us directly to plan vision trips. Its beginning to look a lot like Christmas. We hear this phrase and sing this song often this time of year. This year I had a whole new feeling when I shared that saying. It hit home when my dear friend Tiffany and her amazing husband Lee approached me to have our kids sing with them on their Christmas CD. (Noel, Tif & Lee download it today) The children were excited and happy to share their sweet and angelic voices with Tiffany and Lee on a song called "Thats what they see at Christmas" Their innocence and joyful hearts come alive when they sing. The song is a beautiful tribute to what we should all see at Christmas. No matter if your a child in Haiti or a child in The United States, your both still wishing underneath the same "Christmas star" The wishes may be different, but all the children hope for the promise Santa will come and they will have a house full of love. No matter how many times I travel to Haiti and spend time with my family and friends there, these "Moment Makers" will forever continue to mold me as a person. So with that, yet another opportunity for me to continue to grow and enjoy this journey of hope. I am grateful to all of you who love our children as your own. We will have the opportunity to travel to Haiti spend Christmas with the kids, celebrate the New Year, and enjoy the celebrations for Haitian Independence Day. Watching the children Christmas morning is a very special and exciting time. The kids are grateful to their sponsors and all of you who help us bring the joy of Christmas to so many. Children all over the world and in our own cities are wishing for Santa to come. While your out shopping why not pick something up for a child who may not have Christmas without the help of others. There are many local organizations collecting. If you would like to help our kids and their caregivers you can visit the website to make an in kind gift, or you can choose from the list below and purchase specific items. The items will need to be picked up or dropped off if you are local by December 18th. So, when someone says, "It's beginning to look a lot like Christmas" please remember, in addition to it "looking" like Christmas, think about what others may see at Christmas, and if you can make their Christmas a little brighter, then do so. Thank you to those of you who continue to support our efforts, and also Thanks to those of you who have decided PHoH will be on your Christmas Giving list this year!! Choose one of our caregivers to bring joy this Christmas.We have 8 woman and 4 men who give of themselves to ensure our children have the best care and are living a healthy and happy life. Please let us know if you would like a list of specific sizes. Wow!!!!! God sure does love a cheerful "giver" Over the last few months I have witnessed what its like to be blessed when you give with purpose and without haste. We always talk about Traveling with House of Hope and "share your gifts and talents" This is one way I continually get to witness our friends, "travelers" express pure joy after sharing their gift with the children and the community we serve. When you have a gift weather it's being a great teacher, mother, pastor, nurse....whatever. When you enjoy what you do, and you get to teach, mentor, or coach another person it brings joy to your heart. It happens to me almost daily! The really cool part is I get to share the experience with so many folks!!! The work we do and life we live as a community in Haiti, has transformed many lives. Both in the US and in Haiti. Sometimes folks can not travel with us, but want to be a part. Here are just a few ways we offer for you to get involved. The opportunity to Sponsor one of the children in our Orphan Care is ideal. This is a unique relationship between you and your Sponsored child. Offering love, support and guidance. In hope of meeting one day and the guarantee of a life long friend. We currently have children who would LOVE for you to Sponsor them today. The children understand the program and are grateful for the help and the opportunity to have a relationship with you. We hope you consider this Holiday Season Sponsoring one of the beautiful children in our Orphan Care, and become part of our family. Another way to get involved with PHoH if you can not travel with us is helping out or hosting a fundraiser. We are always in need of funds to help with feeding and caring for the basic needs of the children at House of Hope and Hope 12:21. Please contact us and we can give you a host of ideas, or we welcome any suggestions you may have in helping to raise funds and awareness of our Core Programs. Our community we serve in Haiti Montrouis and Lanzac area, was spared any major damage and loss of life due to Hurricane Matthew. The southern part of the Island was devastated... Please continue to pray for and support the efforts in helping those affected by Matthew. The power of prayer is enormous! Thank you to everyone who kept our community and all of Haiti in their constant prayers. Thank you, also to the many of you who took the time to call me personally and ask about our children, their caregivers, our Partners and their families in Haiti. The outpouring of support financially was a true blessing because of folks like you who believed in the cause and gave generously. I am grateful to have been able to be a part of the combined effort to assist those who suffered in the Hurricane. I wanted to take a few minutes this morning and share a few things with you today about "Cheerful Giving" it really does the body good.... and heart..... Not to mention God loves a cheerful giver! Thanks again to each and everyone of you for your love and support! Have a blessed and beautiful Sunday and a great week! Our Summer has been a SPLASH!! We are back from another great trip to Haiti spending precious time with those we love and serve. In April we hosted our first team at Hope's Nest our beautiful guesthouse and gathering space. Our dear friend and Board Member Jane hosted her Church family from Calvary Baptist Church including her husband, lead Pastor, and a dedicated and gracious group of folks. The team came with open hearts and minds teaching, working, worshiping, and loving our children and the entire community we serve. The team also had a great attitude when it came to staying at the Guest House. With our first experience hosting a team they were troopers! What a blessing it was to have a safe and enjoyable place to rest and gather. Our meals were prepared in typical Haitian style, and the staff and security at the house were a pure joy. We are excited to work with many local Haitians in the community. Lead by our Friend and Partner Kesnel (Paul) Toussaint leading the way building relationships and giving opportunity to many offering employment at the guest house, or one of our many Community or Sustainable Programs. The children at House of Hope and Hope 12:21 had open hearts and minds building friendships with the entire group who traveled with us from Calvary. We are excited to build our relationship and grow as we host Calvary in their future International Ministry Program. Looking forward to experiencing the future of HoH with the entire Calvary Church. Two additional teams have traveled with us this summer spending quality time with the children and sharing love and light with so many!! Our kids are enjoying their summer spending time at the beach, playing with one another, enjoying activities when teams visit, and even getting a few special trips to the local hotel where they can swim and play. This a very, very special treat for the children. Thanks to our travelers who make this exciting day happen for the kids. I must admit its my favorite thing to do with the kids. I honestly see pure joy coming from each and every child. The day ends with some very tired and grateful children! The past few months our Orphan Care Program has been blessed with additional folks who decided to Sponsor one of our beautiful children at House of Hope and Hope 12:21 . We at HoH want to thank everyone who helps us by your dedication to caring for the basic needs of your sponsor child, and all the children in our care. This is the one area we rely on heavily each and every month. A small sacrifice you make, is life changing for the children you help care for. HoH has a huge responsibility and commitment to care for the children and also to support those who look after them and love them everyday. Having a Sponsor is more then just about the monthly gift, the kids look forward to sharing notes, and gifts with their family. We have hopes that one day they can meet some of their Sponsors. Many of the children have already met their Sponsor, and enjoy sharing their stories, and progress building a personal and beautiful relationship. Please consider becoming a part of our family and also help us with our commitment to care for the children and become a Sponsor today! The process is easy with an automatic payment option, all gifts are tax deductible. Help us Help Them! The next few months at House of Hope are filled with exciting trips planned, launching new fundraising efforts, and building the support and foundation of our organization. We are committed as a team to build awareness of our love, work and passion to care for all of our children, and the entire community we serve. If you have any ideas or suggestions on how we can continue to spread the word about our work in Haiti, or would like information on hosting a trip. We would be happy to talk with you at anytime. The future is exciting and we are hope you come along! Much love from the entire House of Hope Family, enjoy the rest of your summer, and join us along our "Journey of Hope".